At Rastelli Market, we pride ourselves on offering the highest quality meats and seafood available, whether you’re shopping for dry aged steaks or USDA certified organic chicken. But we have to admit that much of what makes these so delicious is the way the animals were raised, the food they were fed, and the conditions in which they lived. In short, we can only take a small part of the credit. However, we’re claiming more of the responsibility for what makes Rastelli sausage so good! 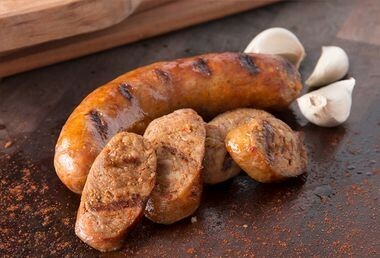 No matter which variety you choose – hot sausage links, mild sausage links, andouille sausage, chorizo sausage, or sausage craft burgers – our custom blend of spices make a worthy complement to the freshly ground domestic pork. To be fair, the same rules apply for our Italian sausage links, burgers and patties that apply to steaks, chicken, turkey and more, insofar as even the finest selection of spices is only a part of the quality equation. At the end of the day, the meat itself will always be the most important element – the perennial star of the show. But we are going to give ourselves a hearty pat on the back for our family recipes, in which the all-natural spices chosen allow the sausage to be its absolute best. 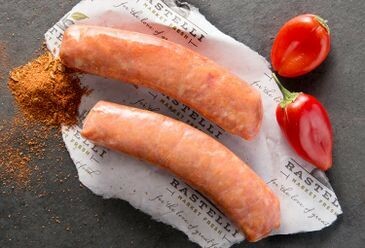 Now, no matter how far the nearest Rastelli Market is from your home, you can buy sausage online and taste the difference. 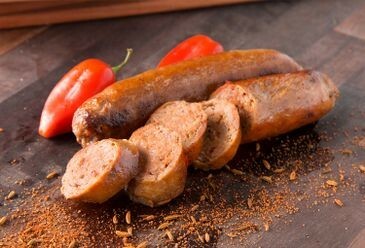 We’re confident you’ll never want to order sausage online or buy it in store from anyone else – it’s honestly that good! From our heavily smoked andouille sausage to our hot Italian sausage craft burgers, we have the ideal sausage for every occasion. As for the special occasions we save our sausage for? 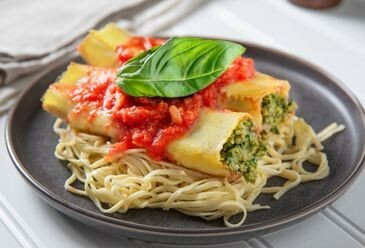 The three most important occasions of all for a foodie – breakfast, lunch, and dinner!